Providing you the best range of pvc twist wrapper, pvc shrink labels, cosmetic pvc shrink labels, pvc flexible packaging material, vacuum pack storage bag and vci coated polyethylene pouches with effective & timely delivery. PVC Twist Wrapper offered comes in bright and quality construction finish and can be provided in width choices of 10 to 1500mm and thickness of 20 to 100mic. Further, these wrappers can be provided in transparent/color finish and find extensive use in electrical wires, cables, PVC hose, precision roller, non-woven fabric and others. Some of its features include self-adhesive wrapper finish; produced from static adsorption; high transparency which makes packaged products look more beautiful; superior tensile resistance and penetrating resistance. We use reliable and quality assured material to develop our PVC shrink labels.PVC is the simplest and cost-effective material to be controlled in the shrink process. Known to offer good scuff resistance, it is available in Pasteur sable & steam grades. These can also be customized as per the specifications of sizes and microns, provided by our clients. In shrink films, the machine direction symbolizes the shrinkage (lengthwise) and the transverse direction symbolizes the shrinkage (width-wise). In addition to the PVC Shrink Labels, we also offer PET Shrink Labels and OPS Shrink Labels. These material are differentiated on shrink characteristics and hence are ideal for various applications. PET Shrink Labels: It offers the best scuff resistance and highest percentage of shrink. It is pasturisable and easily recyclable. OPS Shrink Labels: This is a substrate which is more cost-effective than PET and offers lowest vertical shrinks & consistent finish. It is frequently used for "squeeze" containers. We manufacture high grade Cosmetic PVC Shrink Labels, made from quality range raw material. We offer these labels made of PVC, which are simplest and cost effective material controlled in the shrink process. These are known to have good scuff resistance, and are available in Pasteur and Steam grades. These are offered by us in customized range and as per the specifications of sizes and microns provided by the clients. The shrinkage in shrink films is depicted lengthwise and width-wise by the machine directions and transverse directions respectively. These offer the best scuff resistance with highest shrink percentage. These can be pasteurized and recycled as well. These are more cost effective than PET, and offer lowest vertical shrinks with consistent finish. These are most frequently used for "squeeze" containers. 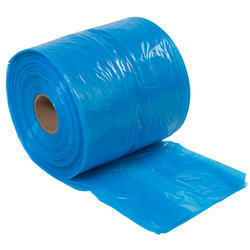 We have on offer PVC Based Packaging Material, which are used across industries for packaging of various products. These exhibit properties like moisture resistance, durability and longer shelf life of articles kept inside them. 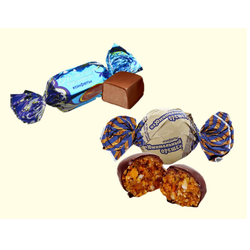 We offer large varieties of PVC - Twist Wrapper at highly competitive prices. 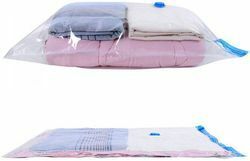 We are a trustworthy organisation in offering a wide gamut of Vacuum Pack Storage Bag. 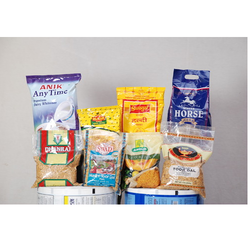 We are a trustworthy organisation in offering a wide gamut of VCI Coated Polyethylene Pouches. Looking for PVC Packaging Material ?